First, click the ‘Background’ option in the left hand pane. Then click the “Uploads” tab. 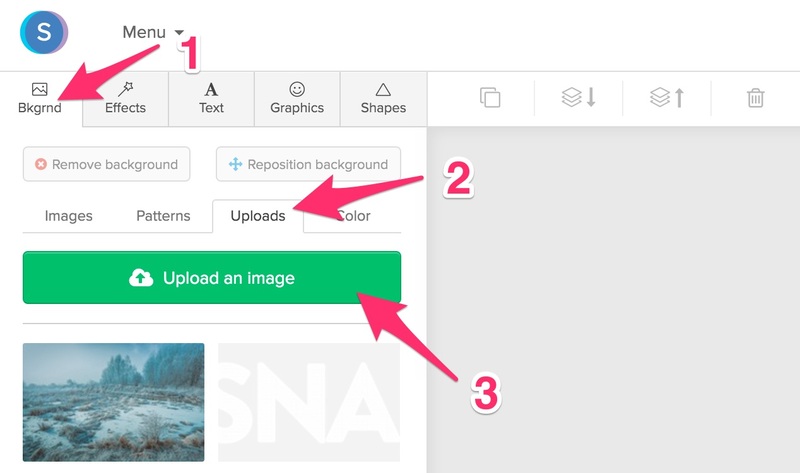 From here, you can upload your own image by clicking ‘Upload an image’ or you can select a previously uploaded image from your media library.